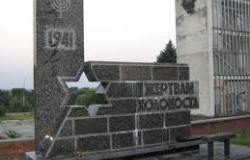 The monument "Victims of the Holocaust"
The monument "Victims of the Holocaust" was erected in memory of Jewish people killed by Romanian-German invaders during the “Great Patriotic War”. There are many historical areas, alleys, mansions, parks, natural monuments, scientific reserves in Moldova. Visit the most beautiful and picturesque places of the Moldovan land. Sculptural Complex Alley of Classics in Chisinau is in the Park "Stefan cel Mare". 141 km from Chisinau, in the village of Sofia, district Drochia, there is the mansion of Boyar Ion Hasnas. It was..
Natural monument "The Hundred Hills"
Between the villages Brăneşti and Coban, in the valley of the Prut River as you transverse along the road about 200 km.. Surprisingly, however the Reserve "Padurea Domneasca" was created during the reign of king Alexandru cel Bun, in the..
Scientific Reserve "Prutul de Jos"
The reserve "Prutul de Jos" was created in 1991. Its main purpose was to protect the flora and fauna of the Prut..
About 200 km. north of Chisinau, in the centre of Țaul village there is the largest park in Moldova which was founded..
Troyan earth mounds are considered to be possible evidence of the presence of the Romans on the territory of Moldova,..
At 25 km from the city Drochia between the villages Mindic and Cotova, there is an ancient villa Mindic surrounded by..
A bit earlier the street named "Garden" in 1991 was re- named into A. Mateevici Street (in honour of the Moldovan..
Aldea - Ion and Doina Teodorovich are the Moldovan artists without which it is difficult to imagine contemporary music..